Classic design combines with contemporary black matte or mahogany finish. an elegant warm metropolitan look. 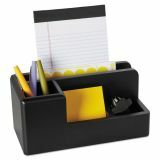 Four compartments keep notepads, messages, pens/pencils, clips, uncluttered. 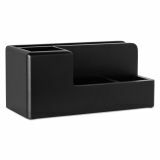 Rolodex Wood Tones Desk Organizer, Wood, 4 1/4 x 8 3/4 x 4 1/8, Black - Desktop organizer keeps desktop organized and supplies close at hand with compartments for paper, pens, scissors and more. Sorting vein is ideal for storing memo pads and messages. Pencil cup is deep enough for pens and pencils. Two storage compartments are sized for clips, pins and other small supplies. Nonskid pads protect furniture finishes. 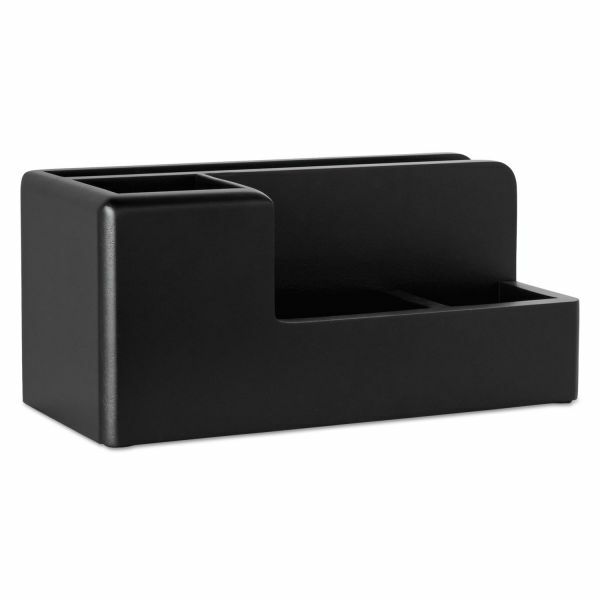 Desktop organizer combines rounded curves and natural esthetics of real wood to create a sleek, contemporary look that adds an elegant touch to any desktop.